Twelve smaller cities around the UK will be getting a pot of cash to implement super-speedy fibre broadband networks next year. The cities the government has put next in line for the broadband upgrade are Brighton and Hove, Cambridge, Coventry, Derby, Oxford, Portsmouth, Salford, York, Newport, Aberdeen, Perth and Londonderry. Homes and businesses in these towns should benefit from up to 100Mbps thanks to fibre networks. The chancellor, George Osborne, announced today that these twelve cities will share a pot of £50 million. That's less money than was allocated to the big ten - Belfast, Birmingham, Bradford, Bristol, Cardiff, Edinburgh, Leeds, London, Manchester and Newcastle had a share of £114 million to put towards the roll-out. 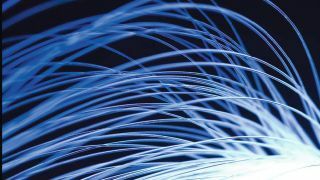 The government's original plan was to have the UK's fast fibre networks rolled out by 2015 although there have been some question marks over whether or not that target will be met. Some parties are also worried that countryside dwellers will be left behind in the great broadband speed race; Dominic Baliszewski from broadbandchoices described it as "a postcode lottery". He added, "It is vital that investment in broadband services is not just localised to the urban elite if the UK is to pull itself out of the economic doldrums." Osborne also revealed that he expects the Treasury to rake in at least £3.5 billion from the upcoming – and controversial – 4G spectrum auction.